When your home is exposed to water damage it can significantly impact the structure of the property, especially if the water penetrates the flooring and drywall, and that is why you need to contact the water damage Brentwood team with 911 Restoration Middle Tennessee as soon as possible. Letting water sit in the home can be both detrimental to the property itself, as well as the health of the individuals living inside. Water damage can weaken the structure of the home, making it susceptible to future damage and the infestation of mold. Luckily our water damage Brentwood team at 911 Restoration Nashville are prepared around the clock available 24/7/365, to help you when you experience a water damage crisis. Our experts know just how important is it to get to the water damaged site in a timely manner, so we promise to be at your home within 45 minutes of your call, ready to work. The IICRC certified water damage Brentwood crew are equipped with the most high-tech water removal machinery in the industry, ensuring that when you call on them you are getting the best service in the home restoration field. Getting the job done right the first time around is always the main goal of our water damage Nashville staff with 911 Restoration Nashville, and with 35 years of experience, they are confident that they will reach that goal on every job. The homeowners of Nashville understand the seriousness of hurricane preparedness, making it impossible to relax during hurricane season. In order to minimize the amount of damage that is incurred, it is important to take precautionary measures before they strike. Pin down your home. By using Cable-Tite, you can tie down your home by connecting the J-bolt of the foundation to the top plate. This will keep it anchored during even the most heavy winds. Board up the windows. Literally hammering boards over all the windows in your home will not only keep out damaging wind, but it will stop debris from getting indoors. Trade in timber for concrete. If you are in the construction phase of your house, it may be worth considering a new type of frame made out of concrete rather than wood. The insulating concrete forms (ICFs) create an airtight, insulating, fire-resistant home. Line your home in concrete cloth. This material is like a malleable concrete that hardens within two hours of being wet. You can affix it to your walls, creating another barrier between hurricane and home. It resists a windspeed of up to 134 miles per hour and stops debris traveling at 675 miles per hour. The water damage Brentwood experts want to offer Nashville homeowners some tips on how to prepare their homes to take the impact of a hurricane and reduce the water damage they experience. Below are some of the best ways to secure your home before a hurricane strikes. Despite all your prepping, you may still experience some water damage. Whether it is due to a storm or just the wear and tear of home plumbing, accidents happen. In these situations, the licensed, bonded and insured water damage Brentwood professionals want to be there for you to help. We offer free water damage estimates, so you never have to feel worried about the cost. 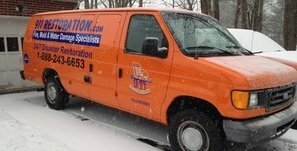 Let our experts water damage elimination staff give you the fresh start you deserve for your home or business today. When you do decide to begin reconstruction, the water damage Brentwood specialists offer affordable prices, but also are more than happy to work with all major insurance companies. Call our water damage Brentwood team with 911 Restoration Middle Tennessee and we can begin giving you the home of your dreams in no time at all today!